It has been a whole month since I last posted on my blog and a lot has happened within that time. First off I got engaged, we've also brought our first house together and then I went and dislocated my knee! With everything happening so fast I haven't really had a weekend to my self to get some blog pictures taken, so today I am back with my first impressions of Pixi Beauty. As part of my Christmas present my parents (mum) brought me these loose eyeshadow pigments called Fairy Dust Favourites in Metallic Warmth. Aside from them being slightly messy they are absolutely beautiful. When using them I pat them on with a flat topped brush to stop any fall out and then blend afterwards with a fluffy brush. 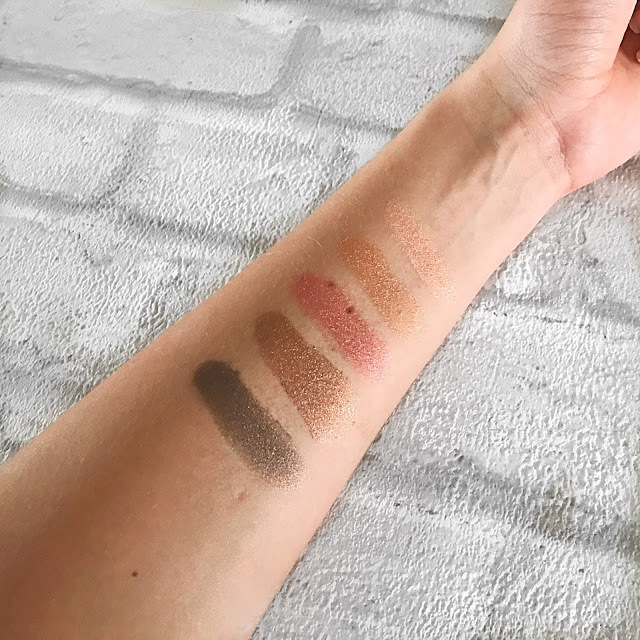 They are great warm colours with a metallic sheen which everyone could get use of and they have great pigment which is soft and easy to blend. They come stacked up on top of each other making it easy and compact to carry around, but the only issue is if you wanted to just take one with you, only the top colour has a lid. If you read this blog post back in October you may of gathered that I had been getting some annoying hormonal blind spots on my chin that were leaving nasty marks and taking ages to get rid of. I had brought the Glam Glow Youth Cleanse Daily Exfoliating Cleanser after hearing rave reviews about the mask's in hope that it would help sort my skin. Boy was I wrong. The first time I used it everything went well and then the second evening my face had a huge reaction leaving me with more spots, extremely dry skin and eczema. I was then back on the market for another cleanser that could hopefully save my skin and decided to return to Pixi. 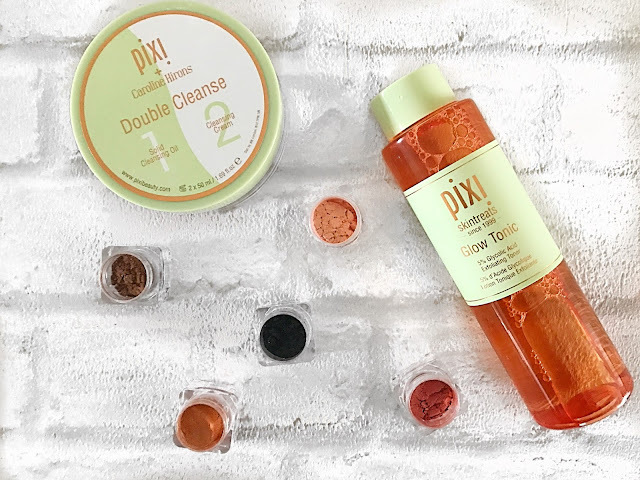 Pixi Beauty have recently just launched 3 new collaborations with bloggers / youtubers including the double cleanser with Caroline Hirons, who is the guru of all things skincare. I've been using this product for about 2 weeks now and I can hands on heart say this is the best thing I've ever used, especially with having such sensitive skin. I tend to remove my makeup first with a wipe then used the Solid Cleansing oil to get the rest of the makeup off, I then wipe it off with a damp muslin cloth, then go back in with the Cleansing Cream and my No.7 cleansing brush. Afterwards my skin looks refreshed and clean and feels so soft. Whilst I was there I thought I might as well try the raved about Glow Tonic. I damp a cotton pad with the tonic then sweep all over my face after cleansing which again leaves a refreshed glow over my skin. Since using the cleanser and toner together my skin looks 100 times better especially around the chin area. I may just have to go out and bulk buy the Double Cleanser in case its limited edition! Overall since trying these products I've become a fan of Pixi Beauty and next on my list are the serums. Have you tried Pixi Beauty before? What's your favourite products?